Inevitably, the future of retail will be determined by technology driven consumerism, say retail experts countrywide. However, the adoption of this new dynamic will likely take time, as both consumers and retailers tussle to find their “comfort zone” before fully embracing the new platform and the growth it is expected to bring. While the online trend is slowly seeping into the market and posing a threat to the traditional norms of the retail industry, Retail Group Malaysia reports that the current retail scene has been witnessing a worrisome slowdown. The industry recorded a 4.4 per cent fall in sales in the first quarter of 2016, compared with the 4.6 per cent growth it registered a year ago. The fall has been largely attributed to the impact of the goods and services tax (GST) last year. The decline was further contributed by weak sales during festive seasons, due to prevailing economic uncertainties, coupled with rising costs of retail goods and services resulting from the weaker ringgit. Although a negative first quarter growth rate was expected the Malaysian Retailers Association (MRA) reported that the results were more pronounced than the industry expectation of a 4 per cent fall in sales. MRA members, however, remain optimistic that businesses will return to black during Q2 2016, with a “bounce-back” average growth rate of 9.9 per cent, while the estimated growth rates for Q3 and Q4 2016 are 5 per cent and 5.5 per cent respectively. According to DTZ Research, in Q1 2016, the occupancy rate for retail malls in Kuala Lumpur dropped to 89.9 per cent from 90.4 per cent in Q4 2015, reflecting the challenging retail landscape. 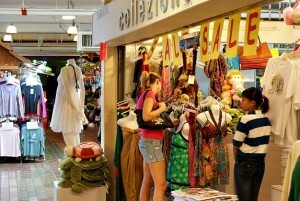 Retailers are expected to close marginal outlets as they are squeezed between higher operating costs and lower revenue. The research arm of property consultant Cushman & Wakefield and DTZ noted that to retain and attract retailers, landlords are now offering rebates and longer leases for the newer malls, anticipating rental growth to moderate for existing malls. More leasing incentives are expected to be offered for forthcoming malls. “We survived the first quarter. There were no disasters, in that there were no retailers that closed down… just a slowdown in business. Growth will be marginally better in the current quarter versus the same period in 2015,” Chan said. “We don’t expect tremendous growth… maybe between 2 per cent and 3 per cent,” he added. Retail Group Malaysia (RGM) managing director Tan Hai Hsin pointed out that the current festive season should stimulate retail sales during the last month of the second quarter. He said the upcoming Hari Raya holidays will likely be a boost to the local retail sector, which is important as it has a direct relationship with the economic performance of our country. When our economy improves, consumers will buy more. When our economic outlook remains weak, consumers will stay cautious. However, other industry experts have said the retail sector is not expected to drive the economy going forward, but predicted the services and F&B will contribute to a better growth rate in the private consumption component of the Malaysian economy. According to them, the past year of economic uncertainty has seen F&B outlets register the most vibrant trades, especially in the form of rapid growth for coffee bars, cafes, bakeries, fine-dining outlets, international franchise eateries and food trucks. This suggests that many urban Malaysians are still willing to spend on good food or dine in nice atmospheres despite the increasing cost of living. Tan said the services sector including online banking services, online airline ticket, online hotel booking, online movie ticket, food delivery service, among others have enjoyed a sustainable growth rate this year. Another sector that will continue to grow this year, he said, is online retail sales. 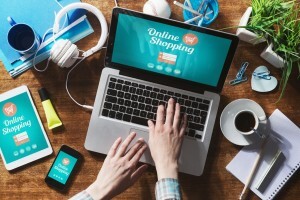 This growth is due to the fact that more and more brick-and-mortar retailers are beginning to set up online channels to further encourage consumers to spend. “Many Malaysians are also using social media platforms to launch their products and services, from handmade cupcakes and soap to costume jewellery, limited edition clothing and many more,” said Tan. Savills (Malaysia) Sdn Bhd managing director Allan Soo stressed that online shopping could pose a serious threat to malls here, as the growth of online retailing, while initially slow, is now truly beginning to pick up the pace. He said that existing and incoming supply of shopping malls in the Klang Valley will likely contribute another 29 million square feet of space in the near future, adding to the existing 56 million square feet in the Klang Valley. “The problem is we do not need so many. We just need better malls,” said Soo. He explained that in terms of the current shopper’s profile, a new Gen Y and increasingly Gen Z segment of consumers are determining new industry standards and behavioural patterns. By large, this is a group that prefers to shop online and they have a marked preference for “indies” (independent retail outlets/brands) within nicer boutique type malls such as the Curve and Publika and pop up shops.